Strawberry shortcake pancakes put classic strawberry shortcake flavors into a delightful pancake recipe. 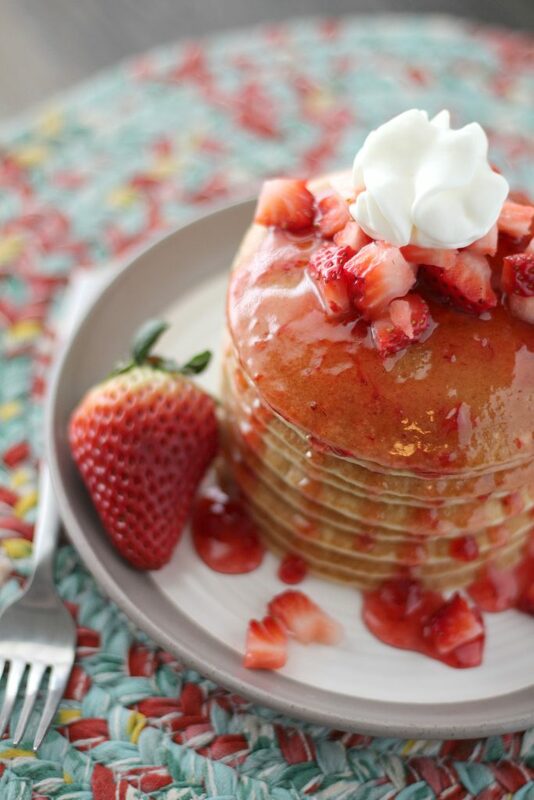 These fluffy pancakes will delight everyone at your breakfast table with their easy and sweet strawberry topping. This strawberry cheesecake dump cake is an easy dessert that packs big flavors of creamy cheesecake and sweet strawberries. 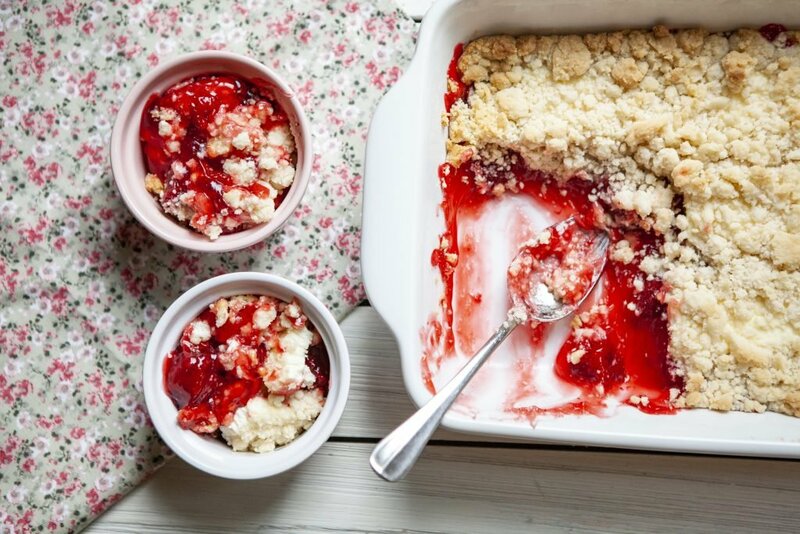 This crowd pleaser is perfect for a family dessert or to top off the perfect home date night. 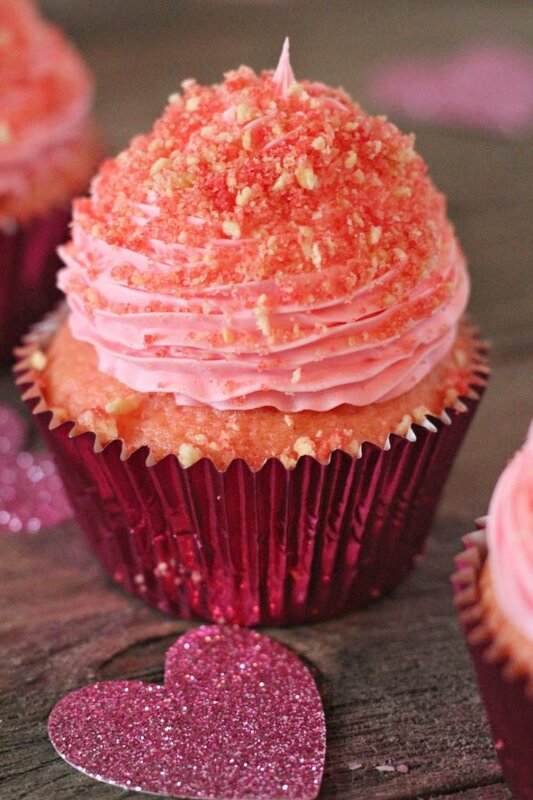 Strawberry cupcakes are kicked up a notch with delightfully fluffy strawberry icing and a crunchy topping. These nostalgic strawberry crunch cupcakes capture all the flavors of a strawberry shortcake ice cream bar. Their pretty pink color makes them the perfect Valentine’s Day cupcake or a great treat for a baby shower or any other fun pink occasion. 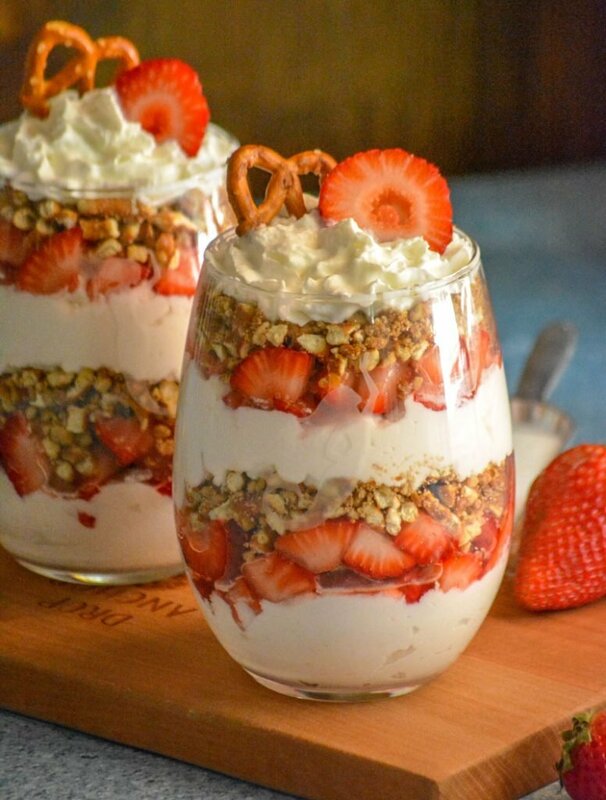 A studding dessert, these Strawberry Pretzel Salad Parfaits put a creamy new spin on the classic strawberry pretzel salad. Featuring layers of flavor infused freshly whipped cream, buttery cinnamon pretzels, and ripe berries- it’s a dessert destined to impress. Imagine the best cookies you’ve ever had- light & fluffy, and studded with semi sweet milk chocolate chips. Then picture them also swirled with chunks of fresh strawberries. 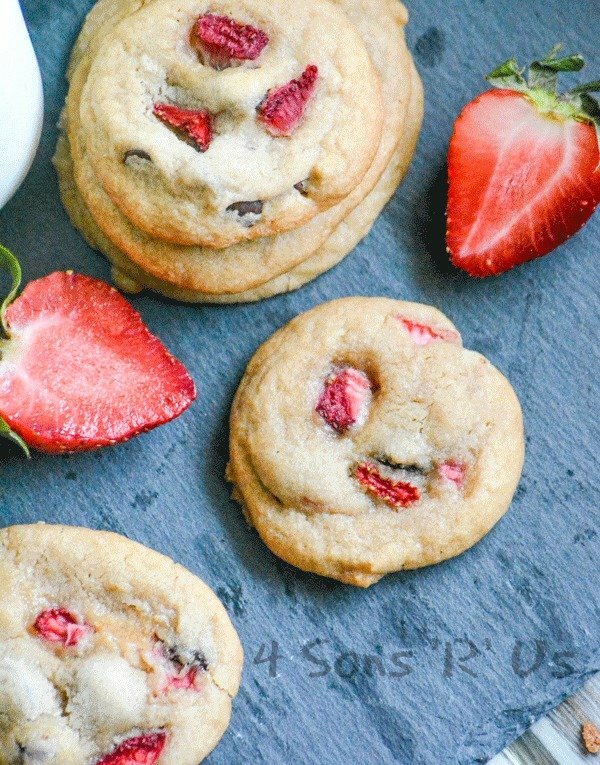 These Strawberry Chocolate Chip Cookies are a must have! This post and recipe was created for #SummerDessertWeek! I was sent samples by some of the sponsor companies, but as always the opinions are 100% mine. 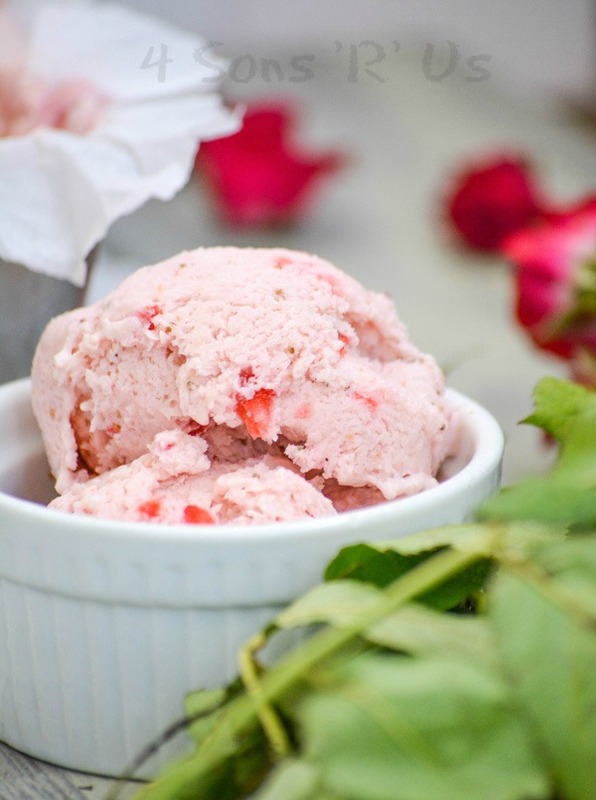 An easy no churn recipe, this Strawberry Rose Ice Cream features bright, ripe strawberries in creamy soft serve with a dusky floral hint of fresh roses. It sounds complex but it’s surprisingly simple, to make and to savor. Are you ready for Spring and Summer desserts? This Glazed Strawberry Lemon Yogurt Cake is just the thing for your next picnic, potluck, or barbecue. 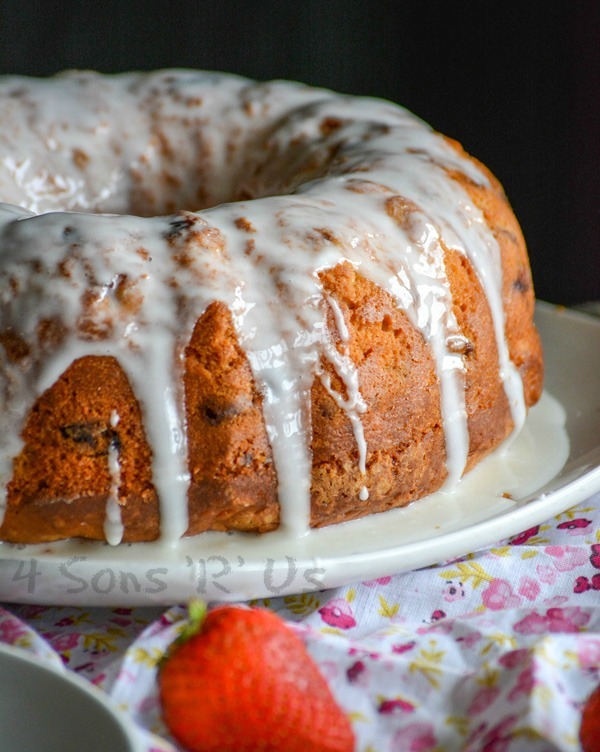 A thick, moist lemon cake is studded with bursting berries and coated in a sweet glaze for a picture perfect dessert. 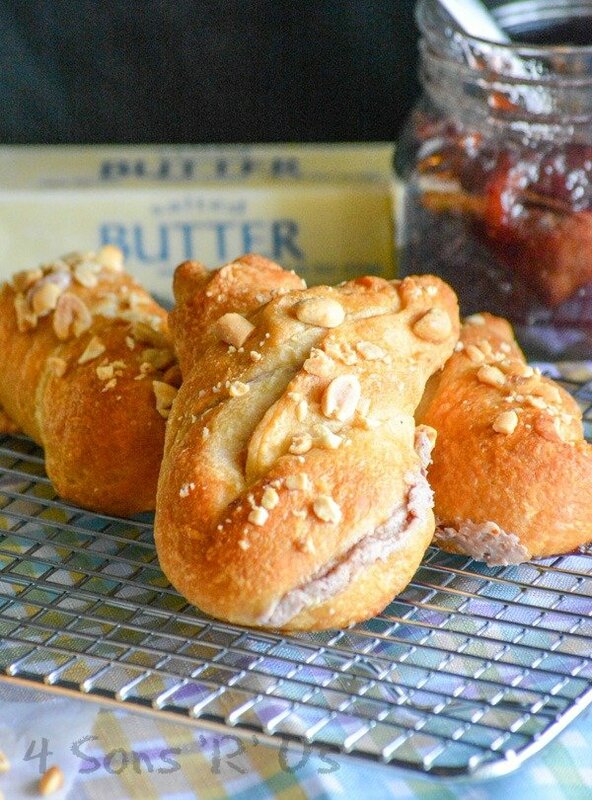 Flaky buttery pastries spread with honeyed butter and studded with crunchy peanut bits, are stuffed with a delicious surprise– sweet strawberry jam and rich cream cheese. These quick and easy Strawberry Cream Cheese Bunny Buns will be the hit of your Easter brunch, or a perfect after-dinner dessert. 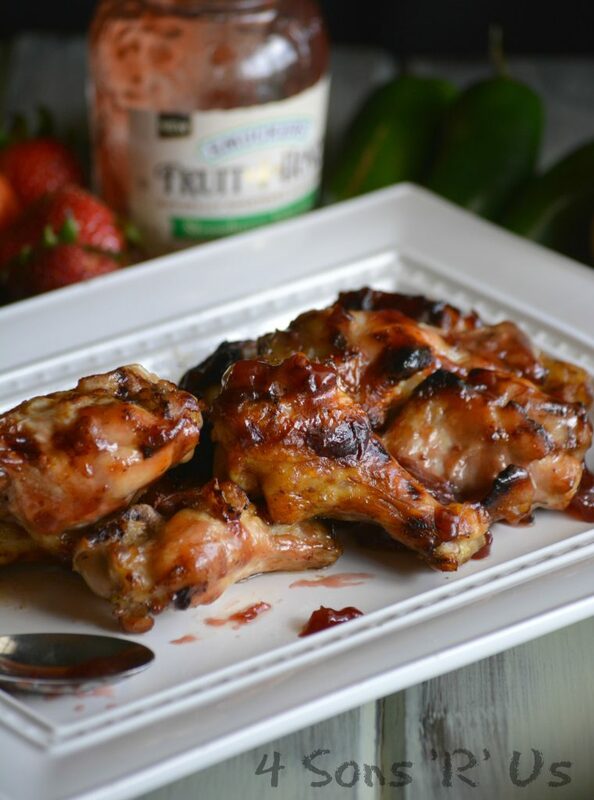 Crispy grilled chicken wings are slathered with a simple Strawberry Jalapeno spread that’s the perfect blend of sweet & spicy. 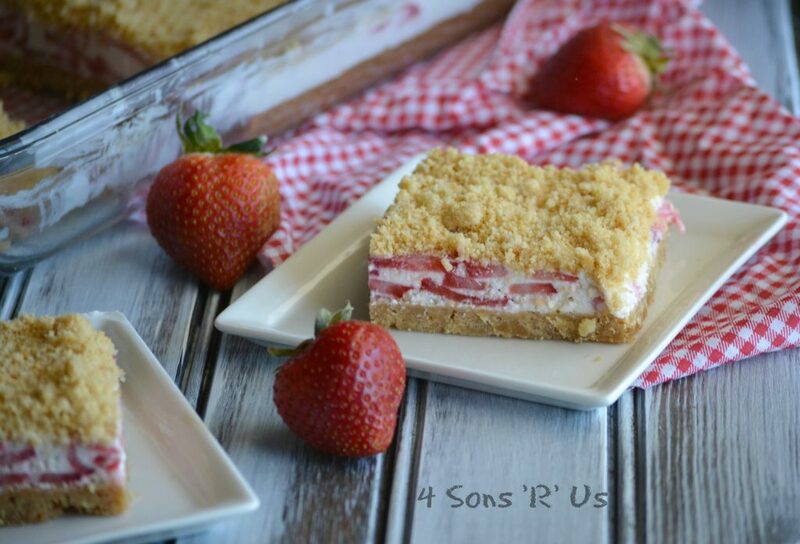 An ice cream like layer of fresh strawberries and cream is sandwiched between a crisp sugar cookie crust and crumbled cookie topping in these yummy Strawberry Crunch Bars. They’re a perfect dessert and a welcome addition to any brunch spread.